﻿ Clean your bike without water! UK firm Permaclear has launched a Pro ”Dry” Clean Waterless Wash & Wax System, which they claim will enable you to wash and dry your bike without water. 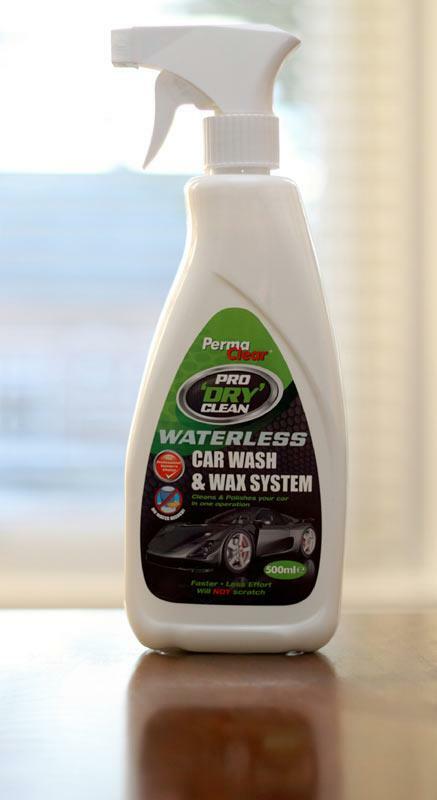 They say: “Unlike other more traditional motorbike wash detergents, Permaclear’s Pro”Dry” Clean cleans and polishes in one step regardless of how dirty the bike is, without the use of water! "More importantly it does this quickly and easily and is guaranteed not to scratch or damage the paintwork. It’s available in a 500ml trigger spray with an RRP of £9.99; which will clean a mid-sized motorbike approximately 8 to 10 times. We’ll be betting our hands on some to test these claims. Watch this space.